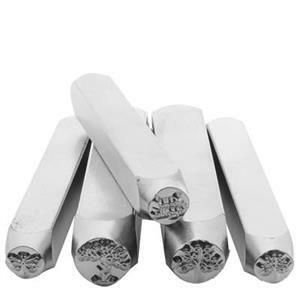 Metal stamps for making hand stamped jewelry. 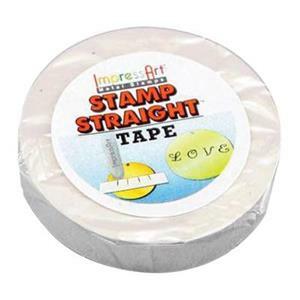 Shop all the stamping tools you need here! Jewelry tools for metal stamping. Shop all the jewelry making supplies you need! Shop designer metal stamps, hammers and other tools for your custom jewelry business. Metal stamping is a simple technique that you can learn in a few minutes and then spend a lifetime perfecting. 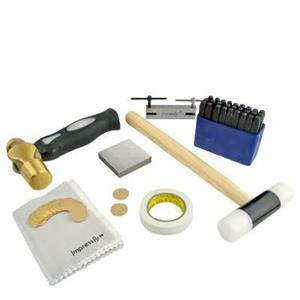 Browse our selection of essential supplies including bench tools and metal stamps. Find jewelry hammers in a separate section. You will also need metal blanks to make personalized hand stamped jewelry. Check out our article 5 Tips for Making Hand Stamped Jewelry. Hand stamping is an alternative to engraving. It is a quick and easy way to customize flat charms or pendants with names, initials, dates or quotations. To get started, you will need a bench block, some metal stamps for leaving letters or designs on the metal, and a brass dead blow hammer. Then, select flat metal charms or pendants called blanks. The technique takes some practice to ensure clear, even impressions are left on the metal material every time. We offer sticker guides and tools to help you make high quality markings on your work. 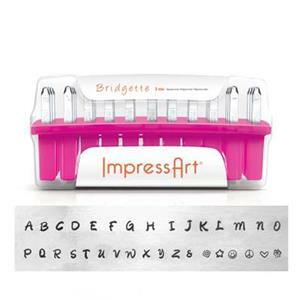 Spice things up with new font letter stamps or additional design stamps for borders and accents. 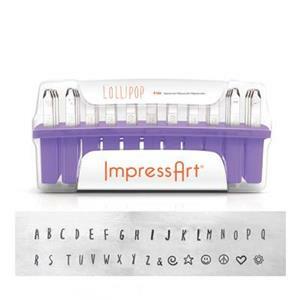 4mm Lollipop Uppercase Font Set plus 6 flourish stamps. No returns. Weight: 2.60 lbs. 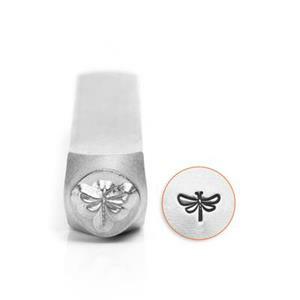 6mm Impression Dragonfly, 2.5in Metal Stamp. No returns. 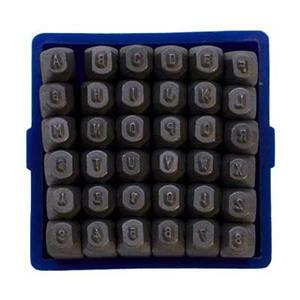 1/16in (1.5mm) Tiny Number and Block Letter Stamps, sold as a set. No returns. Weight: 1.30 lbs.